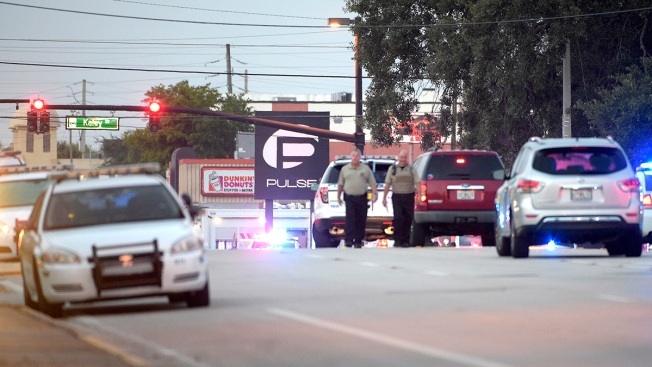 Owner Barbara Poma described it as a "bittersweet day"
In this file photo from June 12, 2016, police cars surround the Pulse Orlando nightclub, the scene of the deadliest mass shooting in modern American history, in Orlando, Fla. Police returned it to its owner over a month later. Law enforcement has released the Pulse nightclub in Orlando to its owner just a month after it was the scene of the worst mass shooting in recent U.S. history. Officials with the Florida Department of Law Enforcement said Wednesday that the agency and the Orlando Police Department have ended their control of the property. They said that the investigation by the FBI and the FDLE is continuing. Gunman Omar Mateen opened fire at Pulse during "Latin Night" on June 12 in a rampage that left 49 victims dead and injured 53 people. In a statement, Pulse owner Barbara Poma described it as a "bittersweet day." She said she can now make plans for the future of Pulse, though she said she is uncertain what those next steps will be. 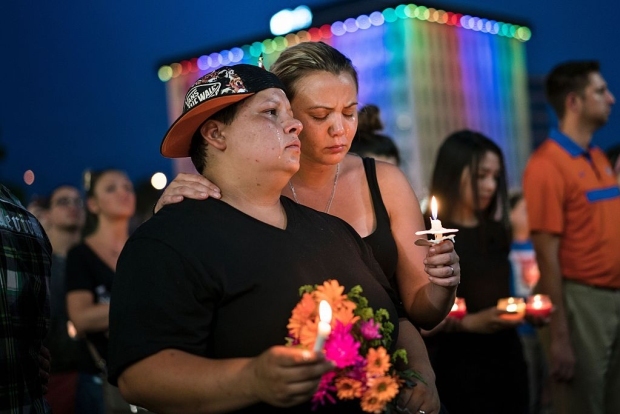 "None of us will ever understand why this unspeakable event happened at Pulse, which was always intended to be a safe place for the LGBT community. We continue to be grateful for the efforts of law enforcement as well as the love and support we have received from our Orlando community and the world," Poma's statement said.